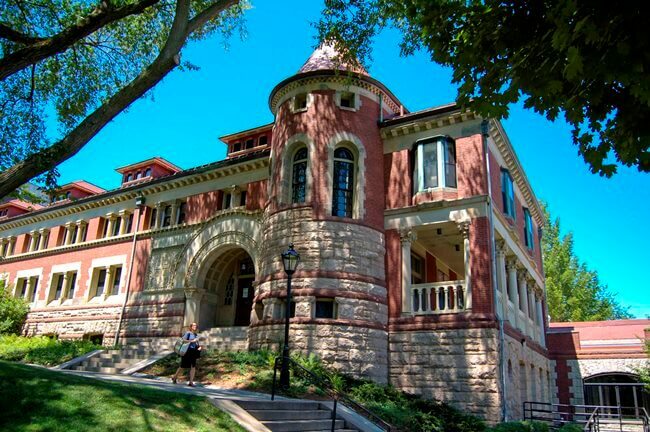 Built as a gymnasium for Brown University in 1891, Lyman Hall now houses the Leeds Theatre as well as Brown’s Theatre, Speech and Dance Departments. 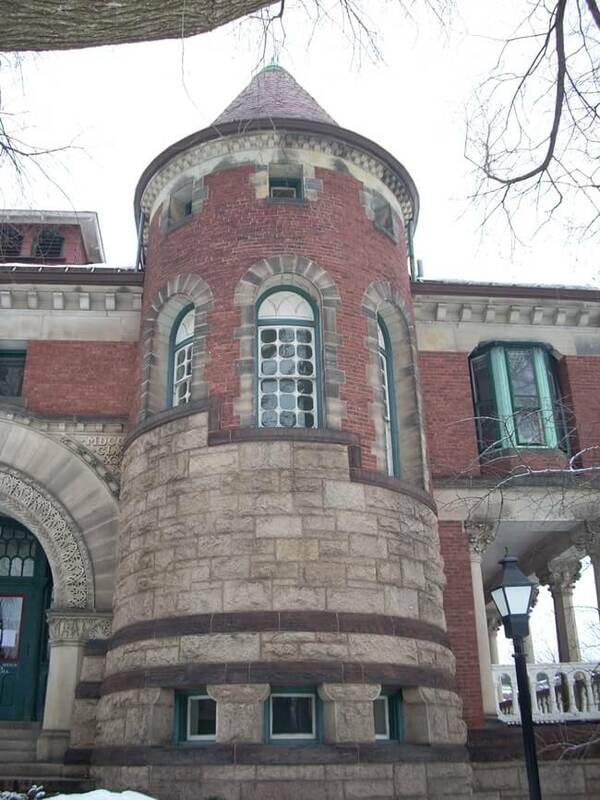 The brick and sandstone structure was designed by architects Stone, Carpenter, and Willson, a prominent firm in Providence, RI in the late 19th and early 20th centuries, in the Richardsonian Romanesque style. 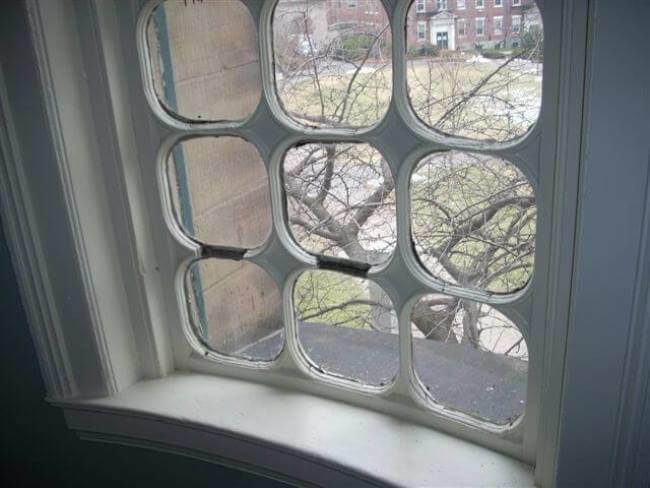 Replacement of the dormer window sills, each of which contained a group of three windows. 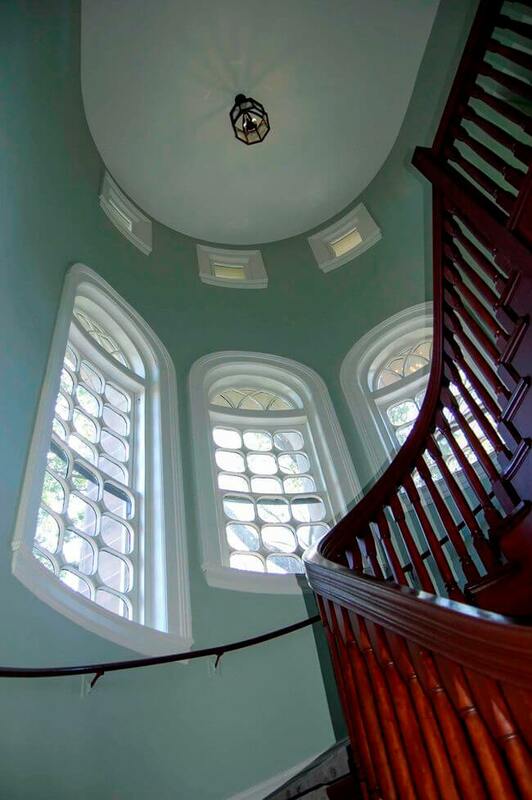 Replication of the three double-hung windows in the central tower, which houses a set of spiral stairs. 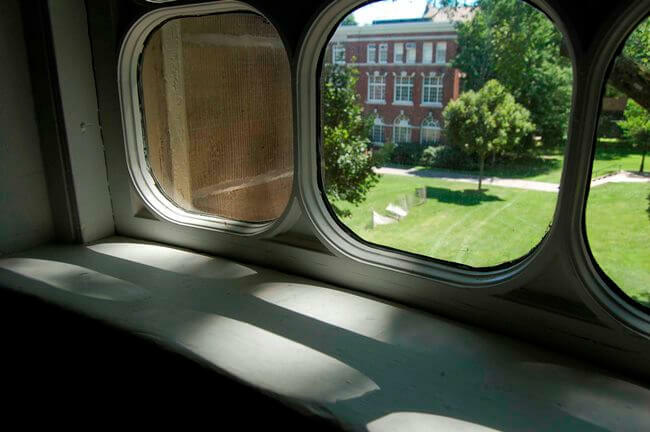 These special radius double-hung windows display headers at the same height, and the size of the upper and lower sash elongates as the stairs descend. 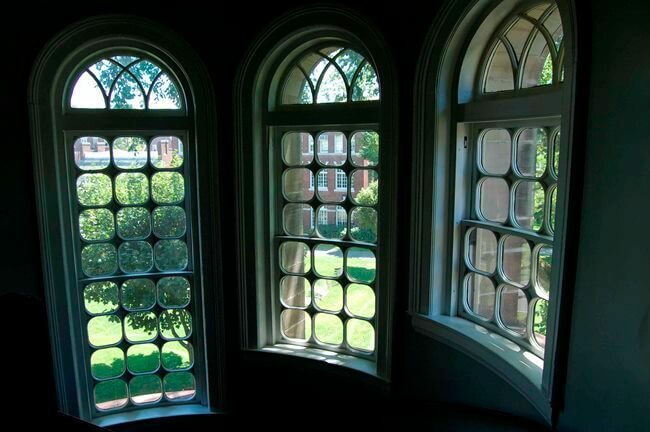 M&A fabricated new mahogany sash to the exact dimensions, detail, and profiles of the original windows, replicating the window’s unique fenestration pattern. Restoration of the building’s exterior balustrade at the building’s east elevation porch, which mimics the fenestration pattern of the tower windows. While M&A’s preservation carpenters restored portions of the porch balustrade, one of the ten foot lengths was replaced in whole, and large portions of the balustrade’s top rail were replaced in-kind.